An Ohio man has filed a DePuy hip lawsuit against DePuy Orthopaedics, Inc., alleging that he suffered from adverse health complications including kidney failure from infection, metallosis and numerous revision surgeries after he was fitted with the company’s metal-on-metal Pinnacle hip implant. The DePuy hip lawsuit was filed in the U.S. District Court, Northern District of Texas as part of the multidistrict litigation pending in that court. There are approximately 5,700 DePuy Pinnacle hip implant lawsuits pending in federal court in Texas as of April 15, 2014, according to court documents. According to a recent DePuy hip lawsuit, the plaintiff experienced tenderness and pain in his groin and right hip. Blood tests confirmed that he was suffering from high levels of chromium and cobalt, a condition known as metallosis, possibly due to the defective Pinnacle hip implant. 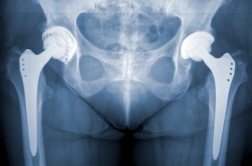 The DePuy lawsuit further alleges that the plaintiff was required to undergo multiple revision surgeries to replace the hip implant in his right leg, beginning in March 2012, and the plaintiff contends that these additional procedures are often risky, painful and more complex than the initial surgery as there is less bone available in which a surgeon may place a new device. The plaintiff also alleges that he developed an infection in July 2012 in his right hip, which resulted in the removal of his hip prosthesis and the placement of an antibiotic spacer. While his infection was treated, the Ohio man states that he was required to live without a hip for several months and that he suffered from other complications allegedly due to the metal-on-metal implant including kidney failure and a heart attack. According to the complaint, the antibiotics he was required to take to treat the infection caused kidney failure. However, the kidney failure diagnosis ultimately led to dialysis and hospitalization between September 2012 and November 2012, the DePuy hip lawsuit states. Plaintiffs across the U.S. are filing lawsuits against the manufacturer, alleging that the company’s Pinnacle and ASR hip implants were inadequately tested and that DePuy failed to warn consumers and healthcare providers about the potential risks of injury and death that could occur due to use of the devices. Do You Have a DePuy Hip Lawsuit? If you or someone you love has been fitted with a DePuy hip implant and suffered from complications that you feel are related to the device, contact the American Injury Attorney Group today to receive your free, no-obligation consultation. We can help determine if you have a case and connect you with an affiliated attorney who can file your DePuy hip lawsuit on your behalf and help you seek the compensation to which you may be entitled such as lost wages, medical expenses and pain and suffering.